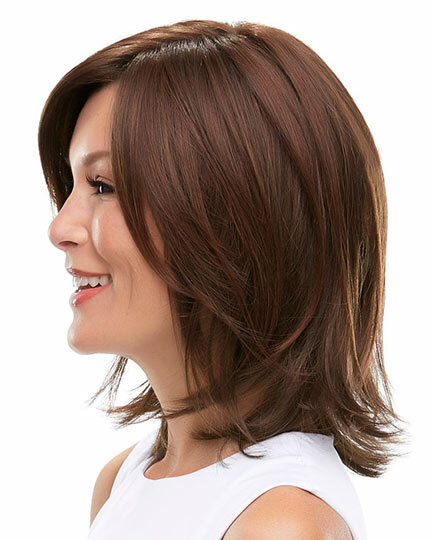 Bangs 9.0", Crown 11.0", Sides 8.75", Nape 7.0"
Rosie by Jon Renau is a shoulder skimming heavily layered bob with flipped ends and a side swept fringe of bangs. 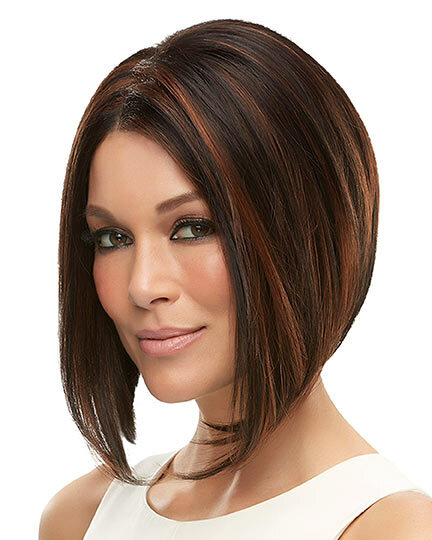 Jon Renau Rosie wigs feature a SmartLace front 100% hand tied that mimics the natural hairline along with a monofilament crown that allows multi directional parting while providing the appearanace of natural growth. The open cap machine made wefted construction allows superior ventilation while the velvet ear tabs with bendable wires and adjustable tabs permits a more customized fit. The second color way shown of Rosie is in 6/33. The Rosie wig weighs 102 grams. There are 2 colors available for this SPECIAL PRICE on Rosie. 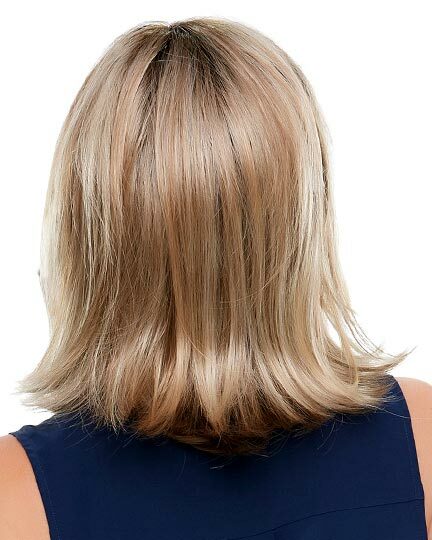 To see if this product is available in other colors, click here. To Buy Rosie, Click On A Small Swatch Below. If you would like to discover other products that share some of Rosie's qualities try the links below.